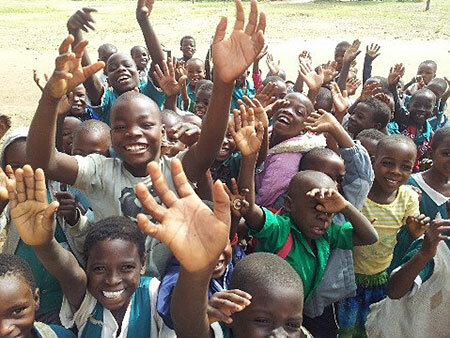 Starfish Malawi began in 2003 and is a Christian charity working to improve the lives of children both in Malawi and the UK. It is committed to a long term approach, and looks to develop people-centred projects which can have a long lasting impact on the marginalised communities in Malawi, helping them shape their own futures. Our aim is to support families and communities by improving education in schools and sharing God’s love to the poor, the vulnerable and the marginalised in the Salima region of Malawi. The charity’s passion is to reduce the endless cycle of poverty by working in the community. They were particularly encouraged by the experience one of our students, Sarah Malala, saying how their secondary school student sponsorship project has helped her. Sarah was one of the first students to be sponsored by Starfish Malawi. She would wake up very early to leave for school at 5am with her friends, often on an empty stomach. After achieving very good results in her primary school leaving exam, she managed to get into secondary school. However, the school fees were too high for her father to pay. Thanks to the Starfish Malawi Student Sponsorship Programme, the staff at a Magistrates' Court in the UK decided to sponsor Sarah throughout her secondary education. She worked hard in class and passed her Junior Certificate and Malawi School Certificate of Education with excellent grades before applying for the university entry examination. Due to her good grades Sarah successfully applied to go to the teacher training college in Kasungu District. A member of her sponsor’s team continued to provide money for her needs during her teacher training course, which enabled her to study without the added anxiety of financial worries. Sarah completed the course and began her teaching career. Starfish Malawi have recently set up a Partnering in Mission initiative so that churches can engage with project work on various levels, such as prayer support, raising the awareness of the projects and volunteer service.